Our new series for 2015 is drawing to a close! 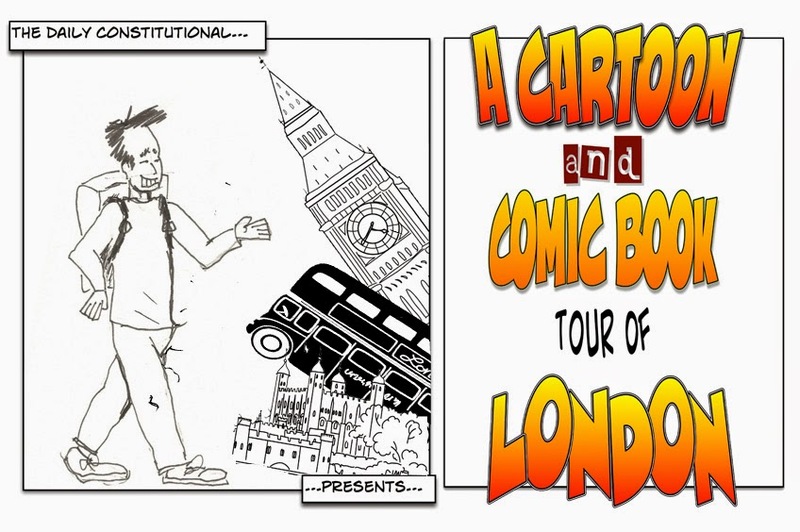 Daily Constitutional editor Adam takes us on a Cartoon & Comic Book Tour of London – 20 stops on a metropolis-wide search for all things illustrated. A few weeks ago I blogged about Orbital Comics on this Cartoon & Comic Book Tour of London. Oribital is my regular Wednesday haunt and the guys have kindly added a couple of recommendations to our tour. Their first was The Wicked + the Divine (catch up with that post HERE), and here are two more beginning with the glorious Metroland. 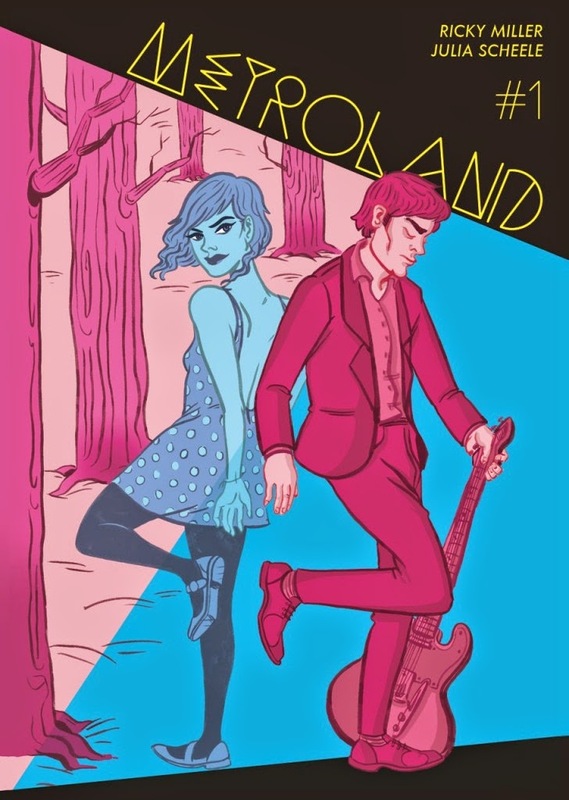 Camilla at Orbital made this a personal recommendation – an indie comic set in London, Metroland is described by the publisher as "a soap opera of music and time travel". A perfect description, this: what great band story isn't a soap opera? And in a field such a pop, which is constantly drawing on its own past, time travel is not only a perfect metaphor for the modern music business, but also a fun device to create a world where Kurt Cobain and John Lennon are still among us. Smart and fun – everybody strives to be that. Metroland gets there without breaking a sweat. The "small castle" in question is in fact Vanbrugh Castle, designed by architect and dramatist John Vanbrugh (1664 – 1726). 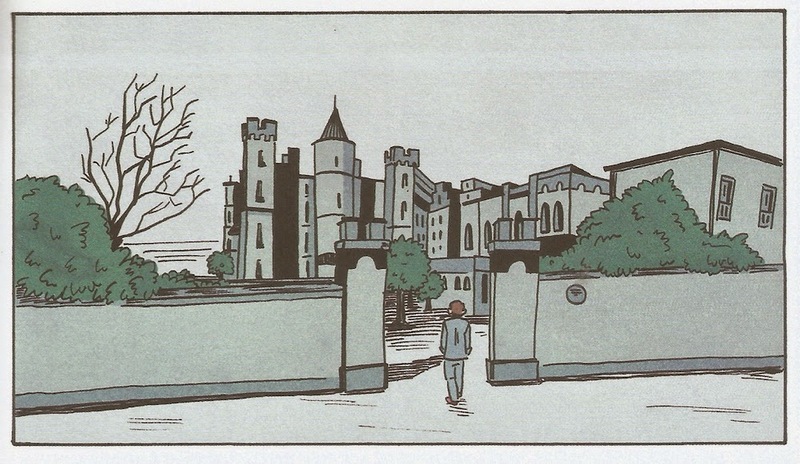 I can almost feel the moment when inspiration struck Ms Scheele (or, indeed, Mr Miller), beholding the almost-Gothic, mediaeval-inspired pile at Maze Hill and thinking, "THAT would make a fine hideout in a comic book!" … travelling the "wrong" way, i.e. 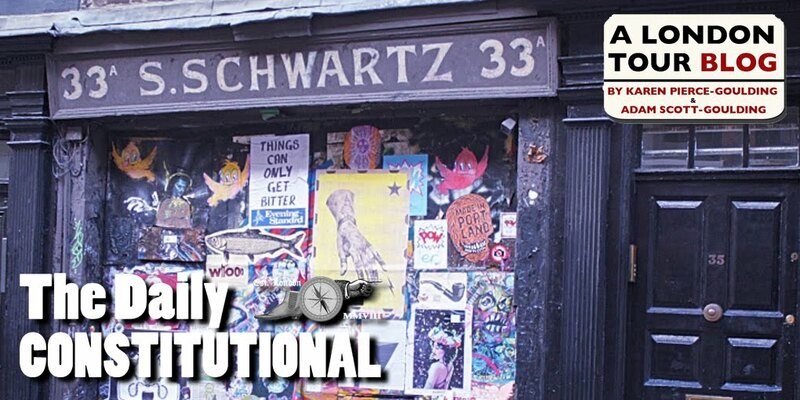 away from conformity, away from the 9 to 5. We can see the crowds thronged in the background, part of the more-than-quarter-million-strong workforce of the City, all heading north. Crossing southward over London Bridge is one of my favourite London journeys and it is captured beautifully here. 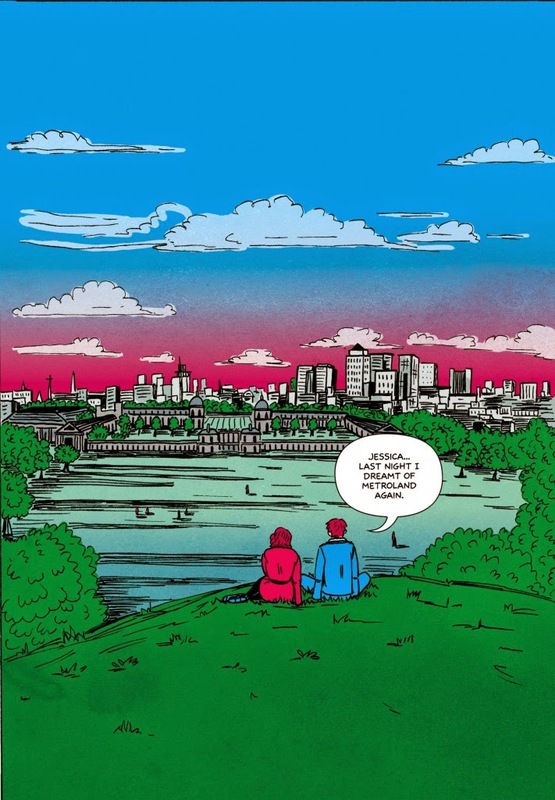 Metroland is my new favourite comic. … a cold-war thriller bursting with 60's-inspired gadgets, guns and gear. 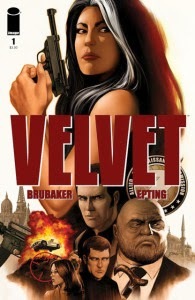 The guys at Orbital say: "Focusing on the British intelligence agency in the 1960s, Velvet is the story of the quiet secretary whose mysterious past as top field agent comes to light as she is framed by her superiors and is forced to go on the run." Thanks to all at Orbital for the recommendations! 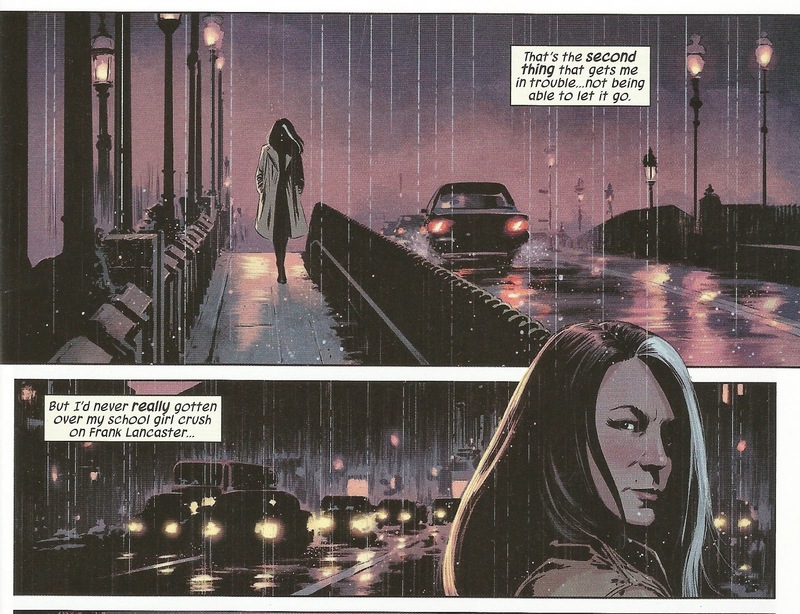 It's Tuesday as I blog this so tomorrow is new comics day – go and see the guys at Orbital! 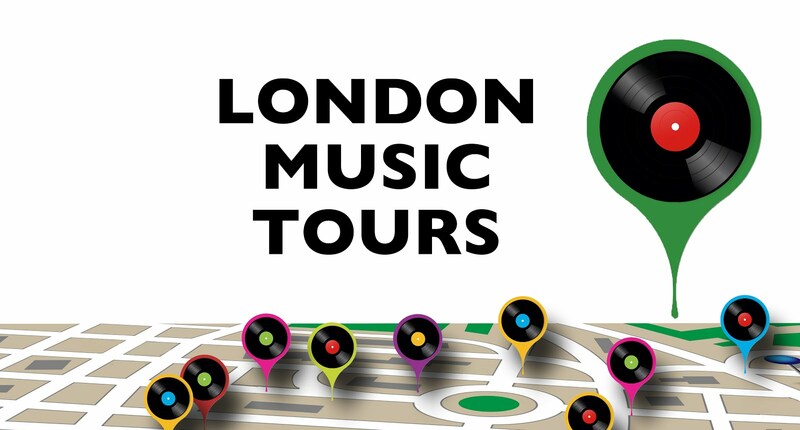 Adam adds… My Cartoon & Comic Book Tour of London is almost at a close, we've visited nigh-on 20 London locations and I realise that we haven't even scratched the surface. Moreover, I've had a great deal of fun collating the series. So… when the series ends at Panel 20, I'll be copying each instalment over on to a standalone blog and I'll add to them from time-to time – please feel free to join in! If you have a favourite London comic or cartoon, do drop me a line at the usual address. Panel 19 will feature From Hell and in Panel 20 we'll bid farewell (for the time being) with some great cartoonist commemorations in London. Maybe one day I might even get around to adding a Cartoonists Walk to the London Walks repertoire.